Today, North Korea maintains it’s status as the worst persecutor of Christians in the world, but it wasn’t always that way. The Korean peninsula has a rich Christian history and owes many of its modern developments to Protestant influence. Ancient Korea was ruled by an indigenous faith, led by shaman (called mu, or more recently mudang) who were the intermediaries between the “first god,” the “gods of nature,” and humans. In 372 the Korean peninsula was divided into three kingdoms, and Buddhism was introduced to the northernmost territory, from China. It took almost 200 years for it to spread to the southern coast of Korea, developing uniquely Korean characteristics as it went. Buddhism became the official religion, which gave it significant political influence as well—especially as the three kingdoms incorporated into one unified governance. 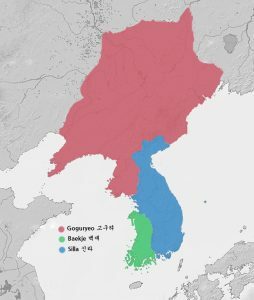 Near the end of the 14th century, Confucianism came to Korea from China and, again, developed into a uniquely Korean expression. In 1392 the first unified dynasty was overthrown, and the Joseon kingdom took power. The new kingdom declared Neo-Confucianism the official state religion, and persecuted Buddhism nearly to extinction. Jesuit writings found their way to Korea in the 17th century, and Catholicism quickly followed. 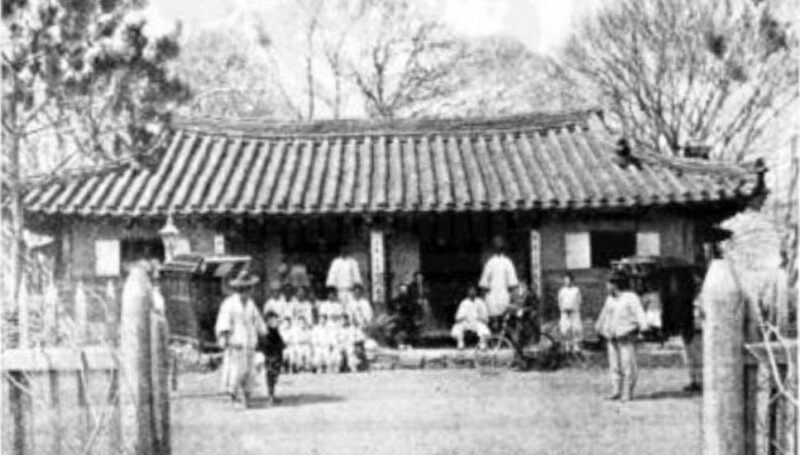 By the end of the 19th century, the Joseon dynasty was struggling—weakened by Japanese and Manchu invasions that first caused the peninsula to withdraw as “the hermit nation.” It was during this desperate time that the first Protestant missionaries came to Korea with the answers they desperately needed. Matteo Ricci was an Italian Jesuit missionary to China who gained a position of prominence in Beijing under the Wanli Emperor, Zhu Yijun, in the early 17th century. He never went to Korea, but his writings were brought to the peninsula within decades. Yi Seung-Hun, the first known Korean officially baptized as a Catholic. He travelled to China on diplomatic business and came home Catholic (more on him later). Not longer after his return to Korea, the first Catholic missionaries arrived. Catholicism spread, especially among scholars, throughout the 18th century, but as the number of adherents grew—and they refused to perform Pagan rituals—Catholic evangelism was outlawed by the beginning of the 19th century. About 8000 Catholics were martyred in the Catholic Persecution of 1801. By the end of the century, the Joseon kingdom was weak and grasping for solutions to strengthen its nation. Protestant missionaries came to Korea in the 1880s and set up schools, hospitals, and publishing facilities as they shared a message of hope and grace. It was everything Korea needed, and the king allowed a great number of Christian missionaries into his nation in the ensuing decades. Protestant Christian communities already existed on the peninsula. The first church was founded in 1884 by a Korean man named Seo Sang-ryun, the same year that the first Protestant missionary—an American medical missionary and diplomat, Horace Newton Allen—arrived in Korea. When the Japanese Empire took over the Korean peninsula in 1910, the bond between Christianity and Korean culture/nationalism was further strengthened. We don’t know how many Koreans were Christians at that time, but as Japan tried to instill State Shinto—folk traditions that set the emperor up as a kind of god—Christians and Christian missionaries in Korea were at the forefront of resistance. Christians refused to perform Shinto rituals. In 1945, as a result of the end of WWII, Korea was divided into two states: the communist north and the anti-communist south. Many Christians fled to South Korea, and the difficulties for Christians in the north officially began.